So, I had some hot fudge leftover this past week. And, well…I was totally cool with just eating it by the spoonful. Like, no problem. What.SO.Ever. Which lay atop a large, thick intense chocolate brownie. And the fork wins again. I get some really good thinking done in front of that fridge of mine. 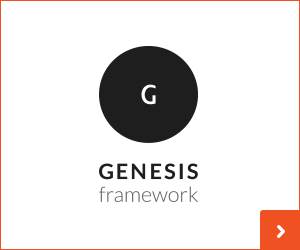 Watch as an idea comes to life…it is kind of the greatest. 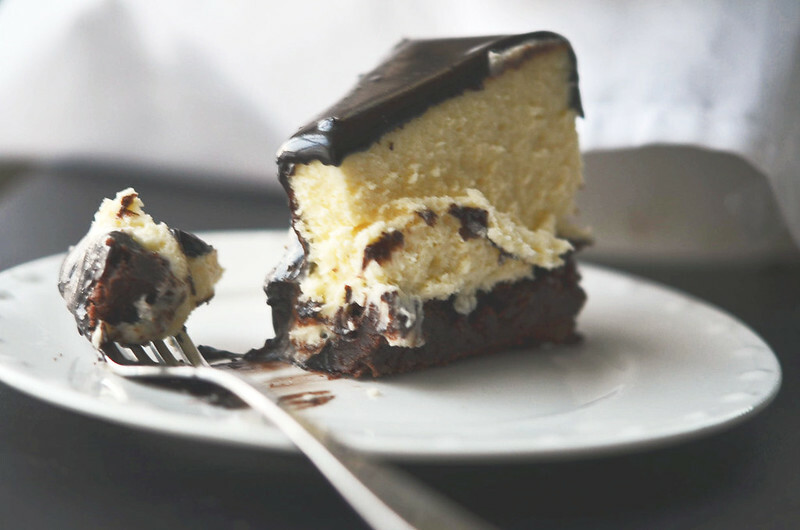 Even if it is just a cheesecake. 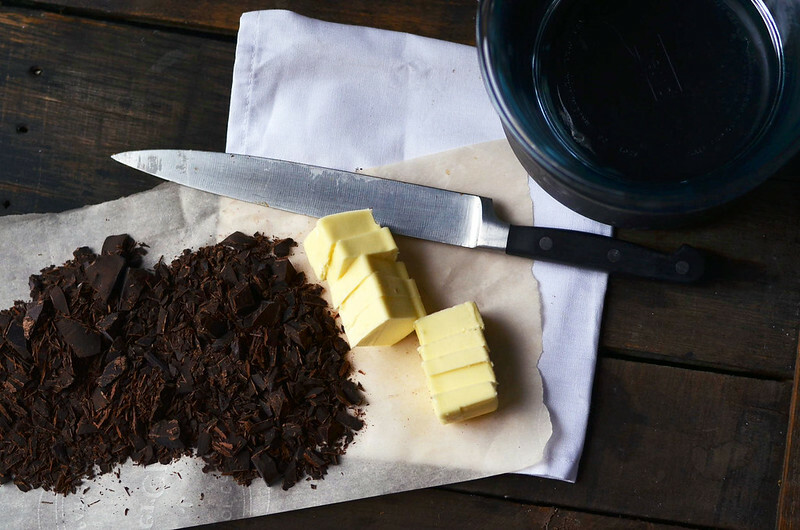 We build from the bottom up…brownie crust first. 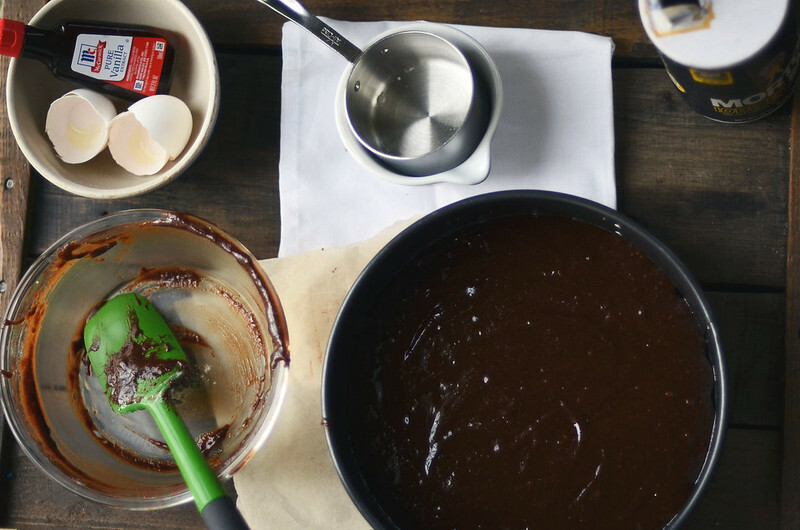 Butter + unsweetened chocolate is the base to the base. 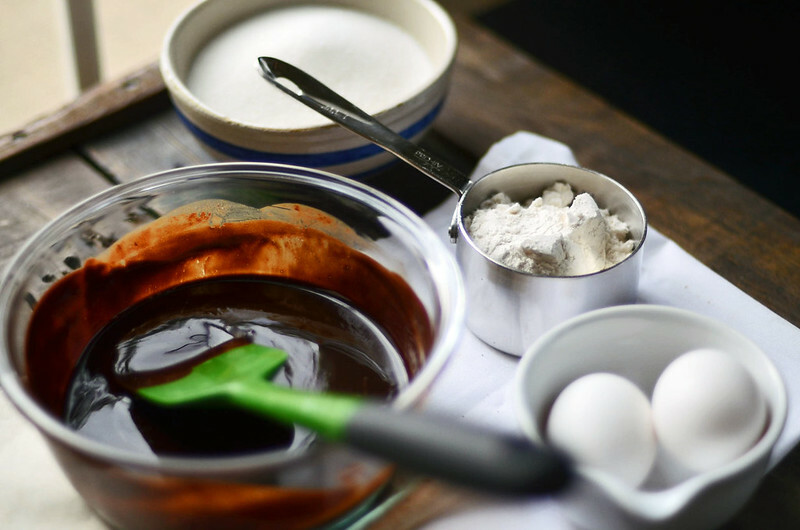 My go to double boiler – glass bowl and smallest saucepan I can find. Same set up, each time. Works like a dream. 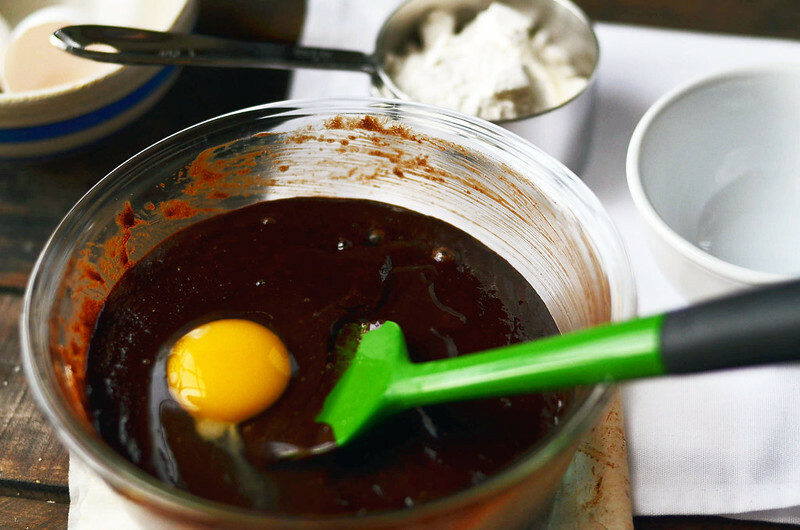 Sugar, eggs, and a bit of flour round out the brownie. KISS….Keep. It. Simple. 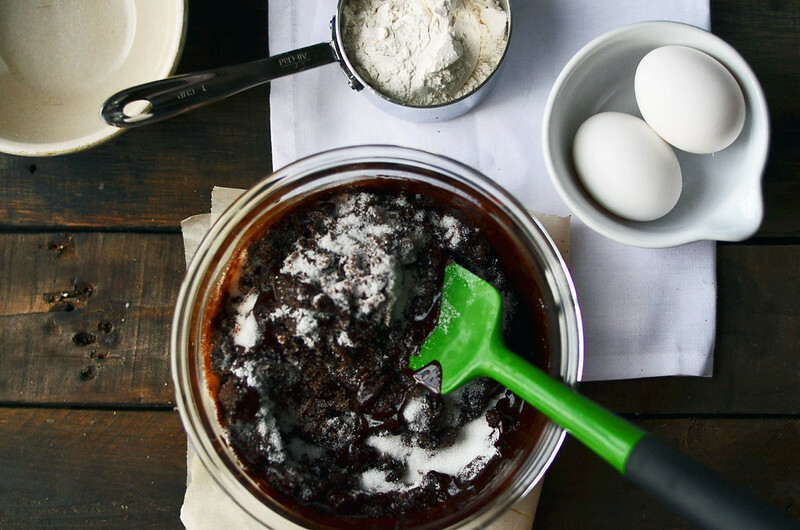 Silly…..
Flour and salt round out the brownie batter…heed the warning and don’t over mix brownie batter. Like. Ever. This has been a public service announcement. Springform pan it goes…and let bowl licking commence. Just the basics for the filling: Cream cheese, sugar, eggs, flour, vanilla. No more. No less. 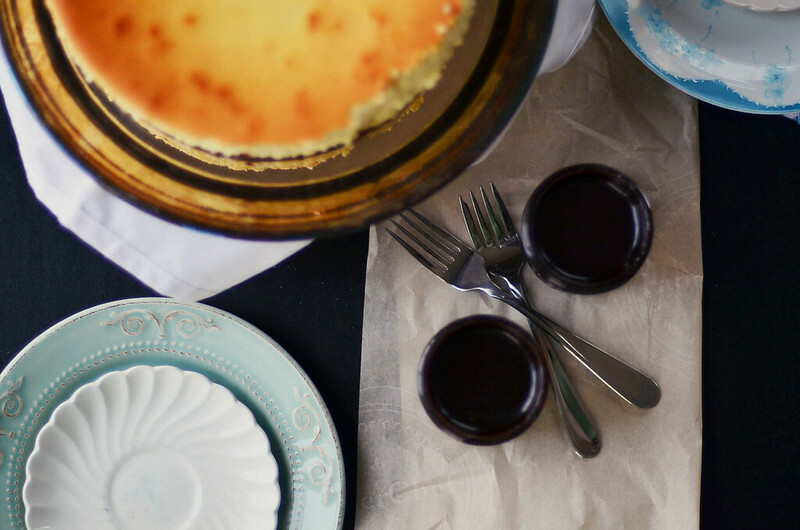 Just like that…we have a baked cheesecake, a table set, and hot fudge at the ready. 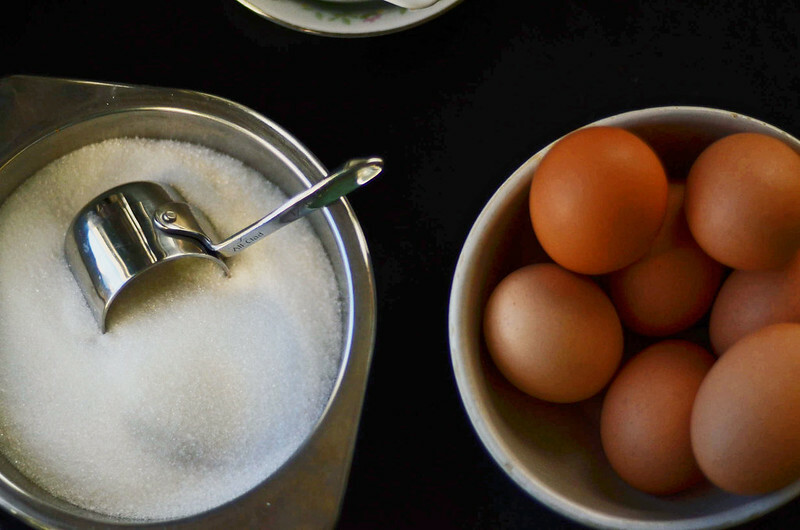 Honestly…I lost natural light as the cheesecake was being mixed…so you missed cream cheese, sugar,and flour being beat until smooth; eggs added one at a time; a lot of bowl scraping – different from bowl licking. 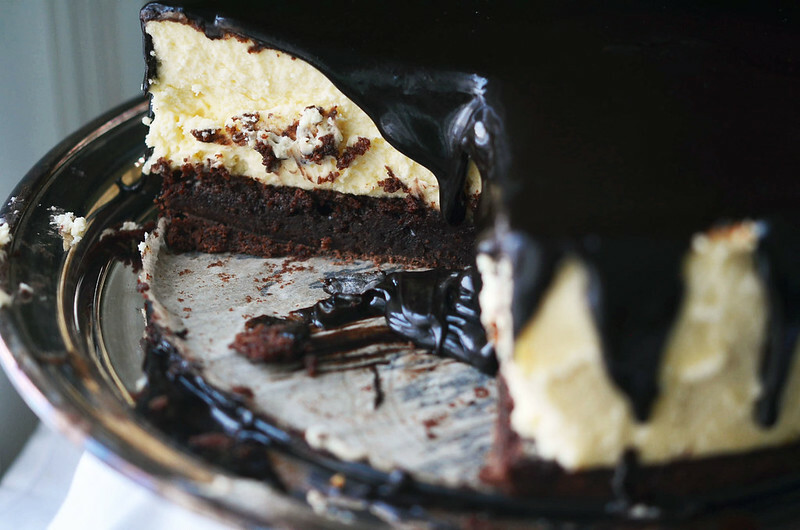 And then you expose your chubby hand to the world and drizzle/pour/drench your cake in hot fudge. Fridge thinking has yet and probably will never produce any major breakthrough plans/skeems ending world wars or curing cancer…however, at least, every now and then I buy fewer bananas and you get a Hot Fudge slathered cheesecake with a rich chocolate brownie crust to drool over…In the short run, it is a total win win. Line a 9inch springform pan's removable base with parchment paper. Butter sides or spray with cooking spray. 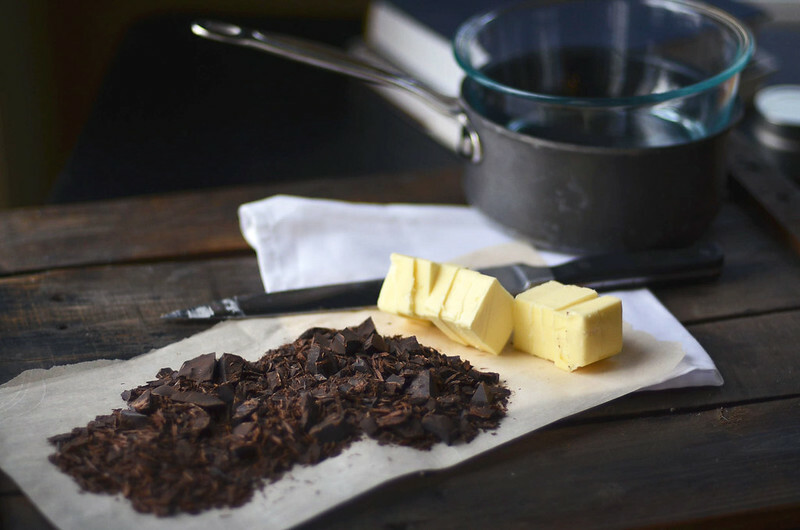 In a double boiler (bowl sitting atop a pan of simmering water ) or in microwave in 30 second bouts, stirring between each, melt together butter and chocolate. Remove from heat. 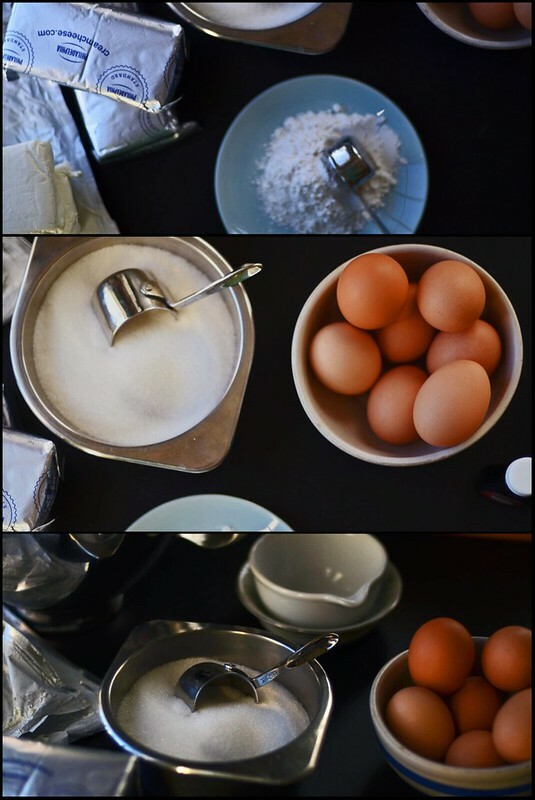 Whisk together salt and flour. 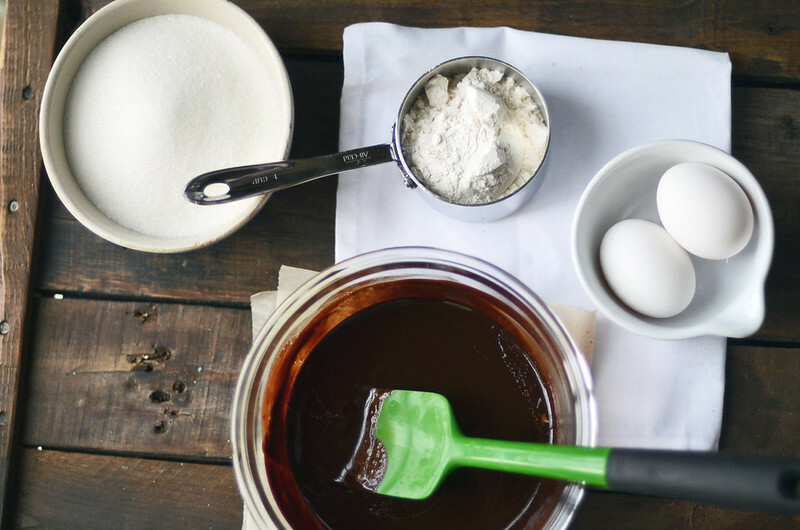 Fold dry ingredients into wet ingredients, and mix just until combined. DO NOT OVERMIX. Pour batter into prepared pan and place in preheated oven for about 20 to 25 minutes, until toothpick comes out nearly clean with just a few crumbs sticking around. Remove from oven and let cool while you prepare filling. 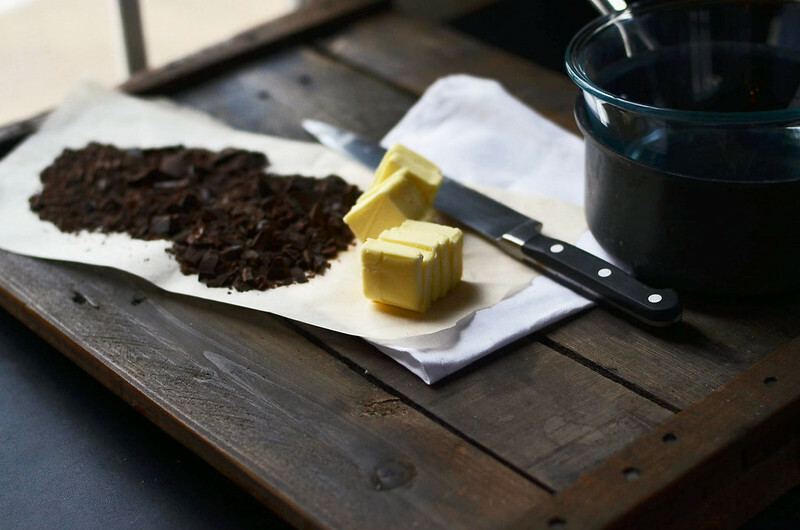 Brownie crust can be made a day or two before you prepare filling. 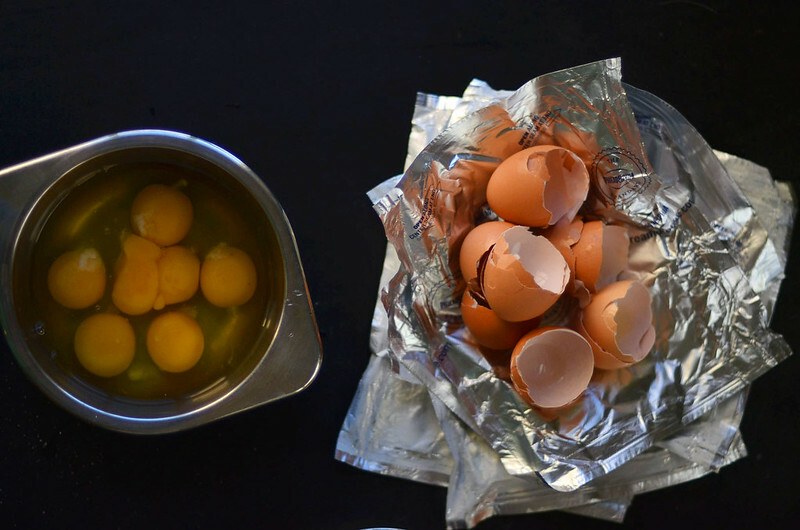 Keep at room temperature and cover tightly with foil/plastic wrap. 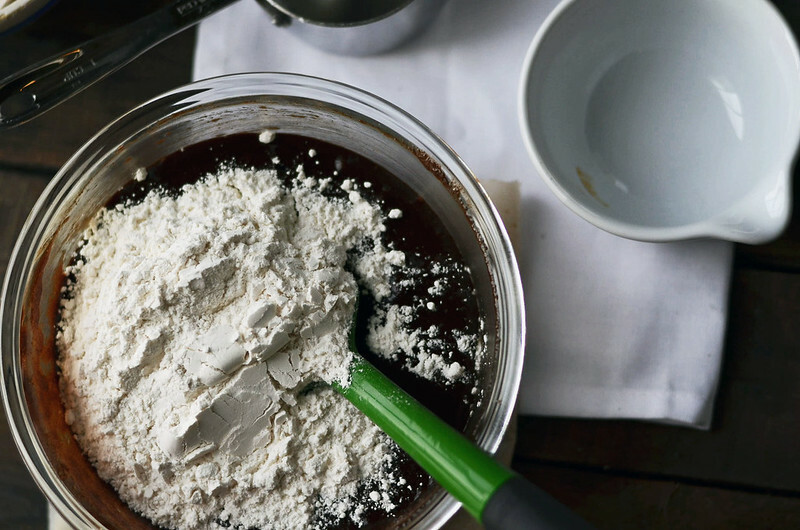 Beat together cream cheese, sugar, and flour until smooth. 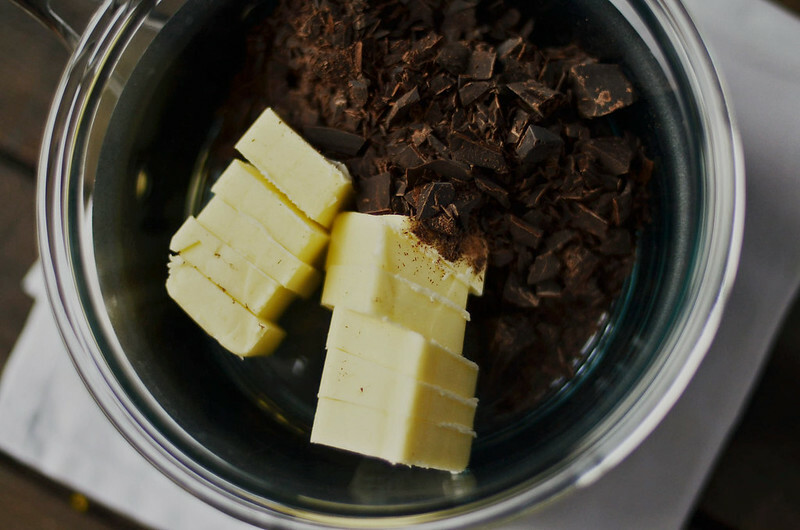 Add vanilla and eggs one at a time, mixing well between each addition. Remember to scrape sides and bottom of bowl between each addition. Pour filling into crust, the filling will reach the very brim of the springform pan. Pour enough hot water into roasting pan to reach about ½ way up the sides of springform pan. 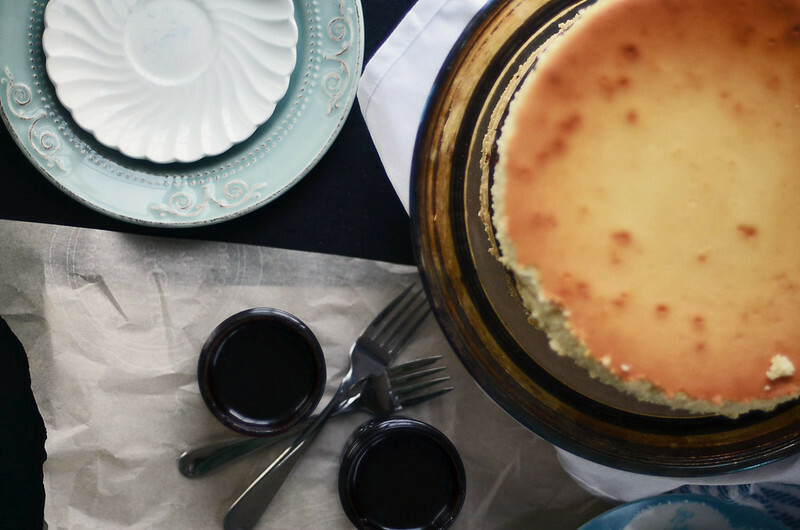 Place roasting pan with cheesecake into preheated oven and bake for about 75 to 90 minutes until top of cheesecake is browned/golden, the top is just barely firm to touch (the very center of cake should giggle only slightly when pan is nudged), and the top appears dry. 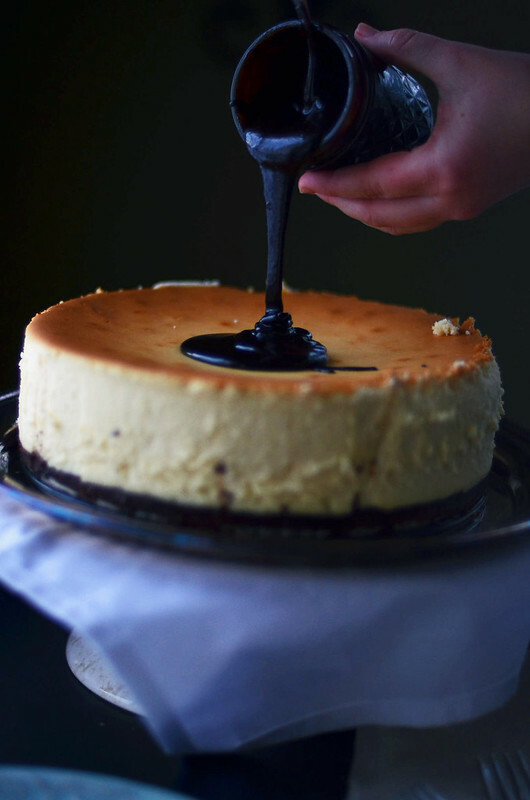 Turn oven off and open oven door so it is just ajar (I place a wooden spoon in oven door to keep it just barely open) and let cheesecake sit in warm water bath for an additional hour. Remove from oven and water bath and remove tinfoil from around pan. Let cool completely on wire rack and then transfer cake to fridge and chill completely for at least 6 hours. 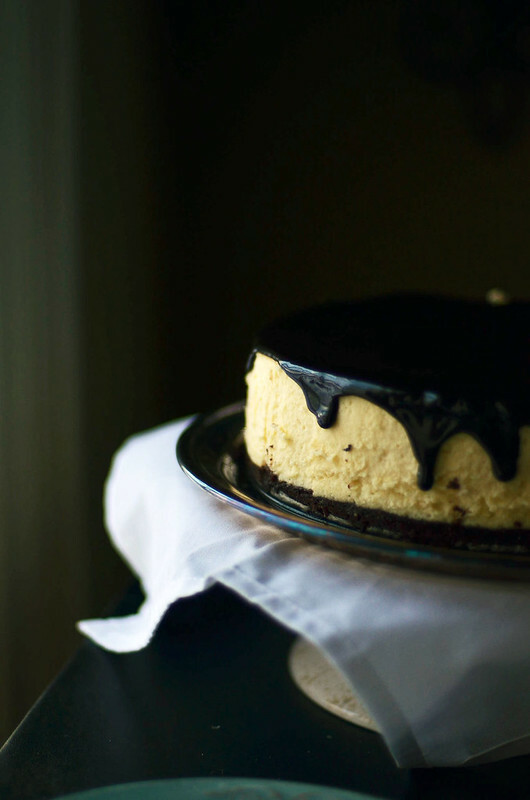 Once chilled, remove from fridge and run a knife around the edge of the cake to loosen it from sides of pan, remove side of pan from cake and transfer cake to a plate. 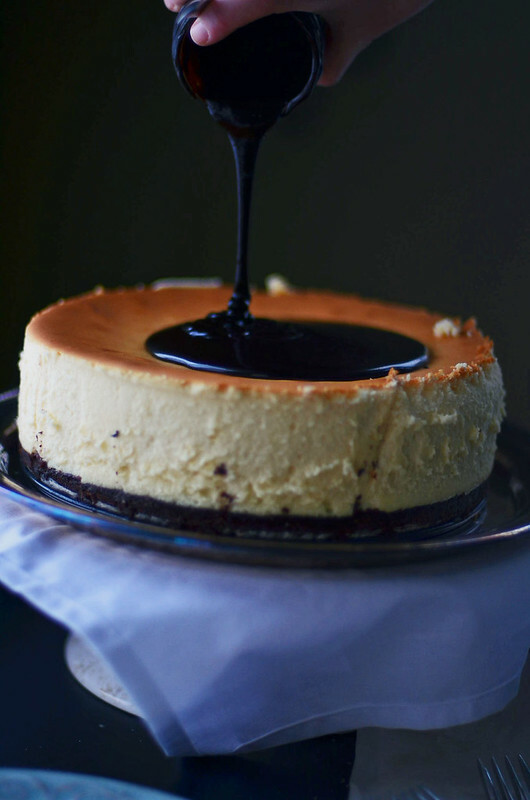 Pour hot fudge onto the top of the cheesecake, spreading the fudge to the edges of the cheesecake, allowing fudge to drip down sides. Return cake to fridge, allowing fudge to thicken/harden - let chill until ready to serve. Chilling once fudge is atop cake will allow for easier slicing. 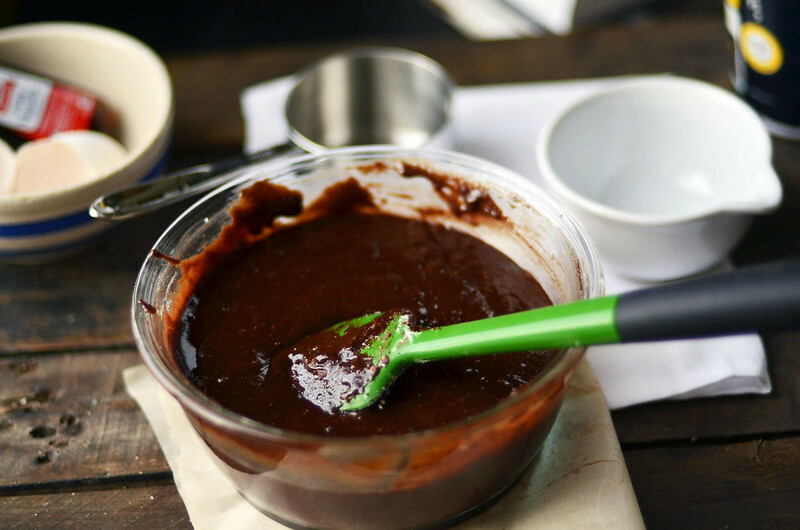 Hot Fudge topping … recipe here (my last post) or head to the grocery/local ice cream shoppe and grab your favorite. Either way, you can’t go wrong.